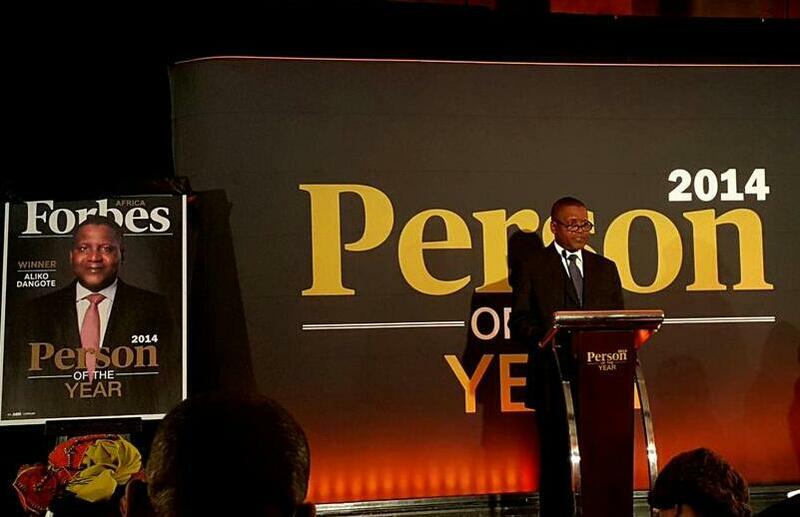 Billionaire businessman, Aliko Dangote, was on Thursday named Forbes Africa’s Person of the Year 2014. At the unveiling ceremony in Nairobi, Kenya, Aliko Dangote, who has played key roles in Nigeria’s development, dedicated the award to Nigeria, noting he was proud to be African. It was his fourth nomination for the position. Dangote clinched the award ahead of other finalists; South Africa’s Public Protector, Thuli Madonsela; Nigerian author, Chimamanda Ngozi Adichie; Director-General of the Securities & Exchange Commission Nigeria, Arunma Oteh and President of the African Development Bank, Donald Kaberuka.